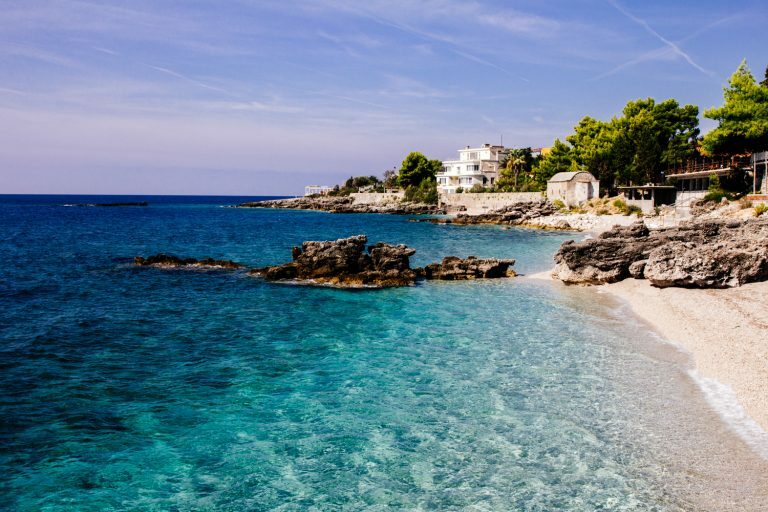 The Rear View Mirror published an article about the beautiful Albanian riviera, suggesting the best beaches everyone should see, stay and relax throughout the summer. "The Albanian Riviera stretches from the southern side of the Llogara National Park down towards the Greek border at Butrint National Park and Ksamil. Not surprisingly, this section of the southern Albanian coast is the most popular destination for tourists in Albania".. There are four main towns on the riviera where you’ll most likely want to stay. There are plenty of smaller beach towns and villages in between but the bigger towns obviously have more facilities, cafes, restaurants and nightlife" the article says. Ksamil is the southernmost beach town close to the Greek border and opposite the Greek island of Corfu. 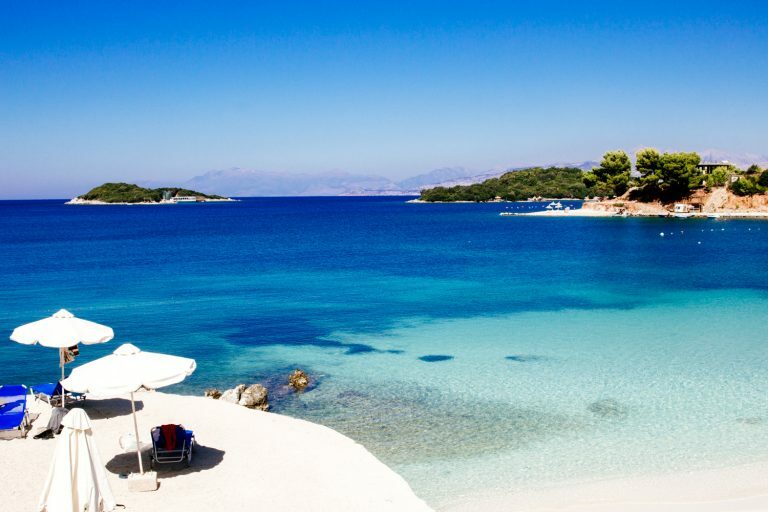 Here you’ll find white sandy beaches, the beautiful Ksamil Islands and a very chilled beach community. It’s part of Butrint National Park and the city of Saranda. Ksamil has one of the best beaches (it gets extremely busy in summer), excellent seafood restaurants and some nightlife. 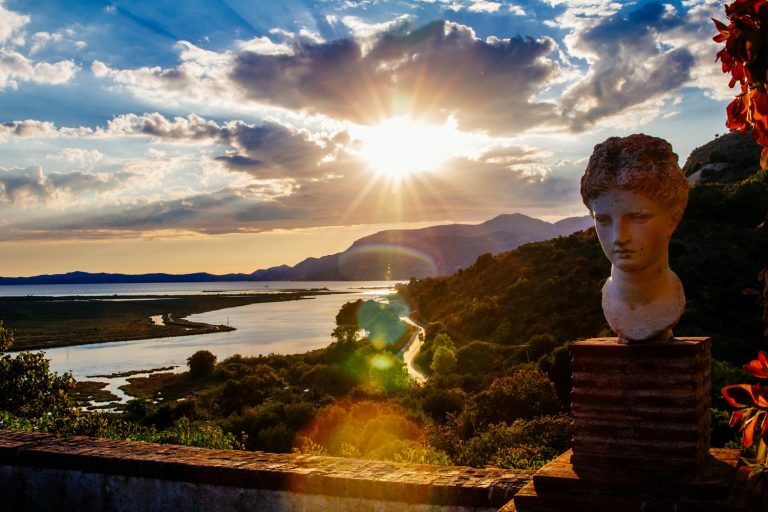 Being close to the Butrint archeological site is a bonus. 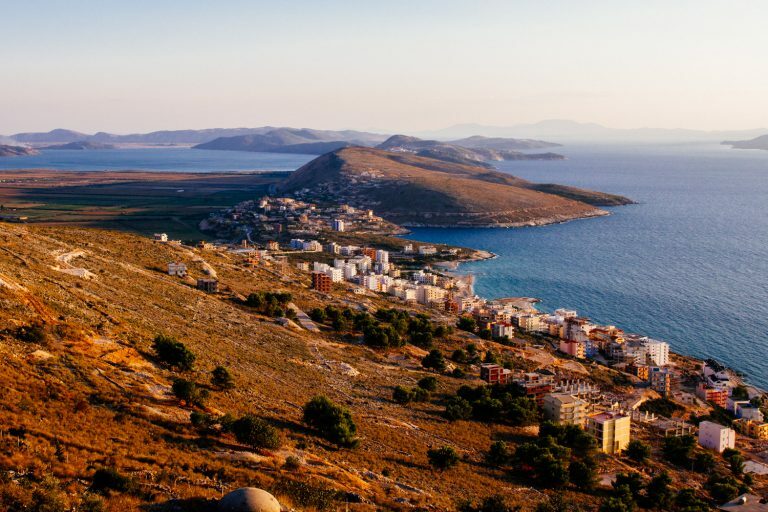 Himara is a small town and the most central of the riviera beaches making it perfect to use as a base for exploring the entire Albanian Riviera. There are many smaller beaches around Himara so it’s an especially good choice if you’re looking for a quiet place to swim and secluded beaches and coves. Himara is also in close proximity to Porto Palermo, home to a small castle, beach and an abandoned Soviet submarine base. Dhermi is one of the most popular beaches in Albania due to the turquoise water and shady pine tree covered beach. There’s more accommodation than in Himara and is particularly attractive to younger Albanians with many nightlife options. It’s not the quietest destination and in my opinion is too built up. I personally prefer to stay in Himara which is only 30 minutes away. Saranda is the biggest city on the southern Albanian coastline. It’s massively built up with ugly high rise apartments, many of which sit empty. 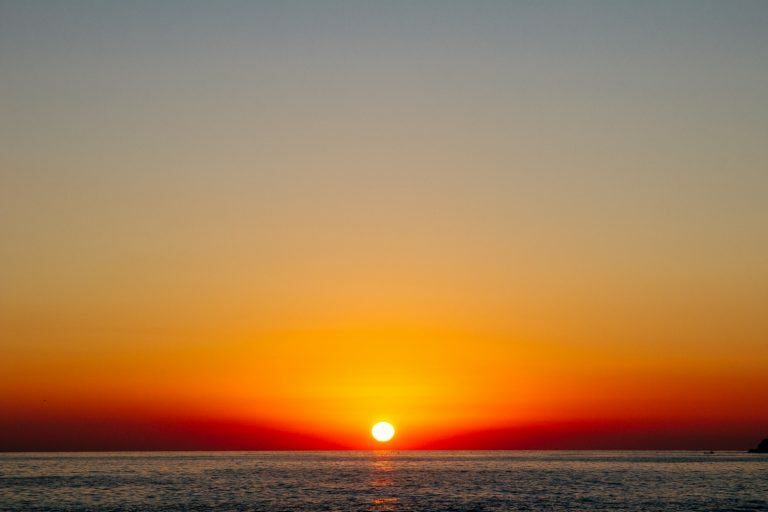 The newer area away from port (in the south of the city) has poor infrastructure and services but the most awesome sunsets and lowest prices. However, Saranda is a great place to use as a base for visiting Butrint National Park, Ksamil, Blue Eye Spring and Gjirokastra. The beaches in Saranda are not nice and I suggest getting away from the city if you want to swim.